and educational activities related thereto. By Valerie Monson, Staff Writer, Maui News. February 25th 2005. WAILUKU - A condo hotel and townhouse project that will put 700 units on North Beach at Kaanapali was granted a special management area permit that will allow construction to begin later this year, but the public got significant concessions in a settlement reached through mediation. "We're very happy that the West Maui community will get some benefits" said Sharyn Matin, President of the West Maui Preservation Association (WMPA) that was the intervener on the Intrawest development approved by the Maui Planning Commission Tuesday. Matin, who lives in the Mahana condominium located next door to the project site, was particularly pleased that Intrawest agreed to establish a management plan for the intact sand dune that runs along the shoreline fronting the property and to refrain from using pile driving during construction, which can drive neighbors crazy. Last year, after the WMPA intervened, the Starwood Vacation Ownership group also agreed to a dunes preservation plan and not to use pile driving during construction on another lot at North Beach. Steve Sewall, director of development for Intrawest, said his company wanted to work with the public. "We are a member of the community wherever we go and West Maui is no different," he said. "We don't just build projects and sell them off and leave. We stay and run them. We've always been that way in looking what the community needs." But Sewall also felt the county's intervention process needs to be reviewed and revised to prevent "generic" petitions such as the ones ranted against his firm. Commissioner Susan Moikeha voiced similar concerns during the meeting and said the intervention process "is being abused". The commission will have a discussion next month on its policy on allowing interventions in special management area filings. Both the residents group and an individual resident filed to intervene on the SMA permit application for the Intrawest project, which normally would require a contested case hearing on the project. But the parties agreed to mediation to resolve questions and issues about the development plam. resulting in the settlement agreement. 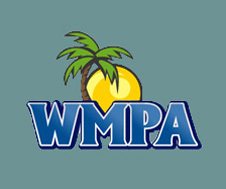 Issac Hall, who represented WMPA, said Thursday that some of the comments made about the intervention process were "wrong and contrary to state law". "Intervention is supposed to be liberal," said Hall, citing state law which established that interveners can advocate for the public as long as they're amongst the injured. "I don't think Steve Sewall understands the law and I don't think some of the commissioners understand the law, either." Hall said that had it been not for the interveners, a wetland that previously was not recognized, would not have been identified. The wetland will now be reviewed by the Army Corp of Engineers. Attorney Charlie Fox, who has been involved with the North Beach controversy since its inception years ago, also intervened. He was concerned mostly about drainage plans. Matin said conditions of the intervention also enlarged a small public park , increased the shoreline setback to 150 feet and reduced building heights and masses. In addition, Intrawest agreed to provide cash contributions: $2.75M in traffic impact fees, $650,000 in increments to a trust for projects that will benefit West Maui that could include roads, hospitals or schools, and $100,000 to WMPA, also for preservation efforts. In the settlement with Fox, the firm agreed to donate $500,000 to the Lahainaluna High School Foundation. Sewall said that $1.4M had already been contributed to the West Maui Resource Center for part of its affordable housing requirement. Prices for the 700 units - 624 condo hotel rooms and 76 townhouses - are expected to range from $500,000 to $2 Million each said Sewall. Along with the SMA permit, the commission granted Step 2 approval for the Planned Development, meaning that the project will not need to undergo more public hearings. All that's left is for an administrative review of final plans by the Planning Department to make sure the conform with what was agreed to in the SMA review. Matin said officials with both Intrawest and Starwood Hotels, which will manage the project, had been cooperative during negotiations. "The developers are finding it (the agreement) is an excellent public relations item," she said. "They're finding it's being positively received by residents." Intrawest proposed two 12-story condo hotel towers near the shoreline on the northernmost lot on North Beach, but reduced the structure to 10 stories. The north cluster was also moved farther away from the Mahana. Sewall said the condo hotel rooms will be owned privately - there will be no "lockouts", which can increase the number of units, and no time shares. Sewall said he hopes construction on the south condo hotel can begin in November. Commissioner Diane Shepherd was pleased that the intervention was so productive for the West Maui community and wished the county had tougher policies in place to force more developers to give back from the "enormous profits" they make. "It takes a contested case to get them to cough up a portion of the profits to help the community," said Shepherd. "There should be an impact fee instead of relying on the public filing a contested case." © copyright 2004 West Maui Preservation Association, Inc. A non-profit corporation.